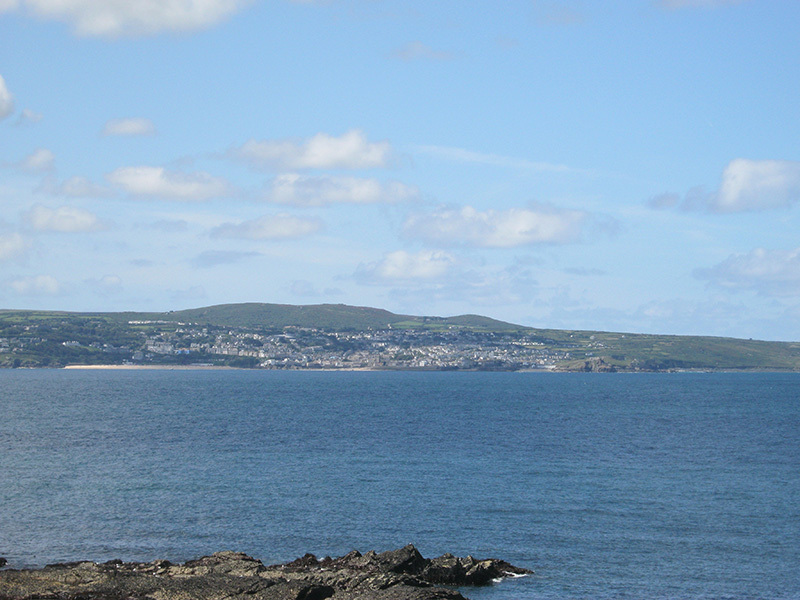 We had a wonderful day out yesterday - August Bank Holiday is never the best day to be in St Ives - so we headed out across the bay to Godrevy. 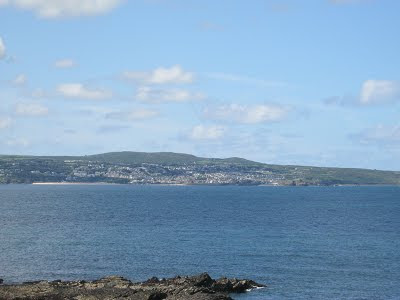 Lovely views over the bay - and we got to see St Ives "from the other side". 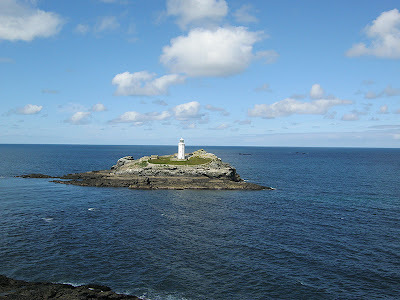 We took a walk along the coast path - with views of the famous lighthouse. Then headed down to the sands to do some beach-combing. 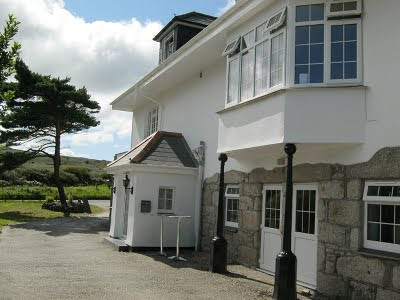 On the way back we stopped off at the newly refurbished Lodge at Balnoon. The place looks great - really modern and tasteful - but welcoming at the same time. Had a bite to eat and a drink - good food at reasonable prices and friendly people. We'll be back for Sunday lunch or dinner next month. 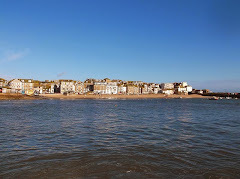 I'm now really looking forward to September - the crowds will diminish and there's lots to see at St Ives September Festival. One of my favourite months - can't believe its come around again so quickly - is it just me or is time speeding up !